Please check the web sites of these operations for all they have to offer. Fri, March 8 thru Sunday, March 10th 17th Annual Intl Orchid Festival. Thousands of orchids on display and for sale. Sat., April 13 and Sunday, April 14th, Spring Garden Festival and 40th Annual Spring Plant Sale. Thursday, April 18th 6-9PM, Jackfruit: The Other Meat-Free Food. Learn uses for this fruit including cooking with it. 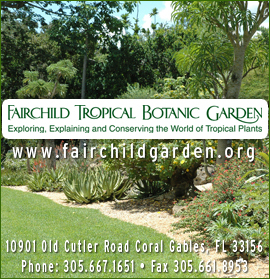 Check www.fairchildgarden.org for admission requirements and more info about all these events and more. Concerts. Sunday Sounds @ Fairchild,, 1 – 2:30 each Sunday. This is a fabulous garden now operated by the Village of Pinecrest, formerly Parrot Jungle. It still has the old Florida charm I remember as a kid. This is one of our finest working parks. Thirty-seven acres of tropical fruit trees, this is a great place to learn. There are numerous events every year and you can learn about them here. When you visit you’ll discover 150 varieties of Mango, 75 varieties of bananas, 70 varieties of bamboo. Five hundred varieties of fruits, vegetables, spices, herbs and nuts in all. Open every day except Christmas 9AM – 5PM. Enjoy the Mango Café. Krome Avenue- There are many roadside vendors of plants and pottery and several growers who sell to the public all along Krome Avenue in the Redland and Homestead. Many are open 7 days, but some are closed Sundays. Knaus Berry Farm- 15980 SW 248 St., Homestead…. Open Nov. – April only. Monday thru Saturday 8:00am – 5:30pm. 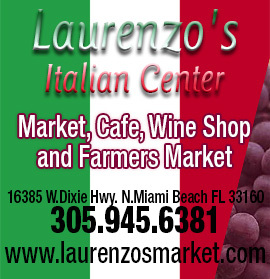 This is the place for wonderful baked goods including cinnamon rolls, pecan rolls, fruit pies, breads and much more. Strawberry milk shakes and other flavors as well. Produce galore and u-pick fields too. 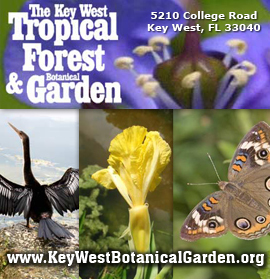 Third Saturday of each month- 10AM – Noon The Garden Nursery is open to the public. 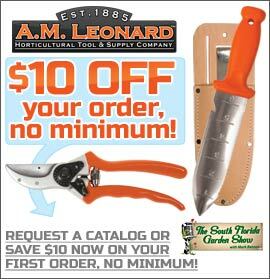 Plants are sold inexpensively and natives are featured. Only plants that will survive well on the Keys are offered for sale. This is a good opportunity for you to familiarize yourself with this up and coming public garden. We will update you on all their events and remember the garden is available for your special events, too. Call them for details. Plant-a Palooza – The Big Spring Plant Sale Sat. and Sunday, April 27th and 28th 9a-4p. 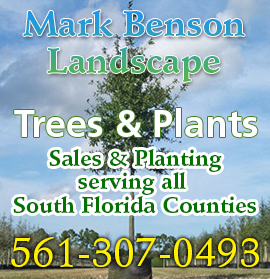 Over 80 vendors of plants, trees, ornaments, etc. A must event for serious gardeners….. This is the 501(c)(3) private garden of Mr. Gene Joyner, retired 35 year Agricultural Extension Agent for Palm Beach County. 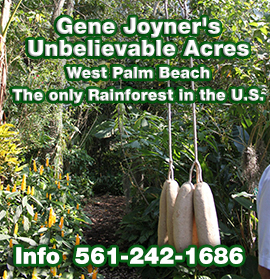 Gene started this, the only tropical rain forest in the United States, in 1970. The garden now boasts several trees registered as the largest of their kind in the state and a canopy 100 feet high. This is truly an experience to behold. 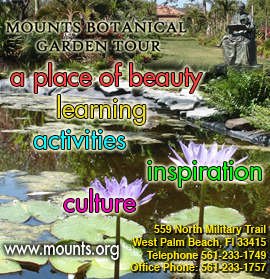 Tours are guided and self-guided, and you must make reservations by calling 561-242-1686 24/7, leave a message and you will get a call back the next business day. Open to the public, with reservations, the 2nd Saturday of each month and any other time, (with reservations for groups of 10 or more.) Listen to Gene on our Sunday radio show at 7:20am. Consider becoming a volunteer. You get to work with Gene and learn from the master himself. Besides, he’s the nicest person in the world (certified by my wife and I). Why travel to Central America, just visit Unbelievable Acres……. Unbelievable Acres needs your financial help to clean-up and rebuild after Hurricane Irma. Checks mailed to UABG, 470 63rd Trail N., WPB, FL 33413 will be appreciated. Or go to www.unbelievableacresbotanicalgardens.org to make a contribution even faster. 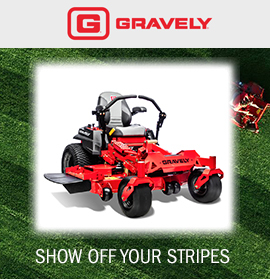 If you would like us to post your upcoming events, send me an email: moneyradio@aol.com and put GARDEN SHOW in the subject line.